Particle and Surface Sciences distribute the Lighthouse HANDHELD 3016 IAQ throughout Australia and New Zealand. Ergonomically designed and lightweight, the Lighthouse HANDHELD 3016 IAQ is the newest, most advanced handheld particle counter on the market, featuring Mass Concentration Mode that approximates density in µg / m3. Offering 6 channels of simultaneous particle counting, the HANDHELD 3016 IAQ displays both cumulative and differential particle count data as well as Temperature/Relative Humidity data on its easy to read 3.8” (9.65 cm) touch screen. A removable battery maximizes the HANDHELD’s uptime. Data is easily downloaded using the Lighthouse Data Transfer Software. The HANDHELD will monitor particulate levels accurately and reliably, even in those “hard-to-reach” areas where two-handed operation is unsafe. 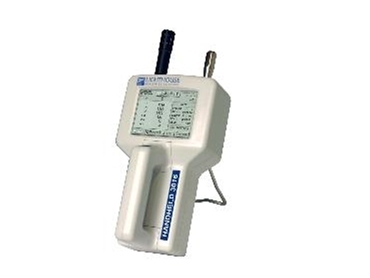 PsS offers the most complete line of contamination monitoring solutions available that include Airborne Particle Counts, Liquid Particle Counts, Airborne Molecular Contamination, Mass Concentration Levels, Electrostatic Charge (ESD) monitoring instruments, Temperature, Relative Humidity, Total Organic Carbon monitoring and much more. These solutions are now found in semiconductor, data storage, pharmaceutical, biotechnology, aerospace and defence industry facilities worldwide.